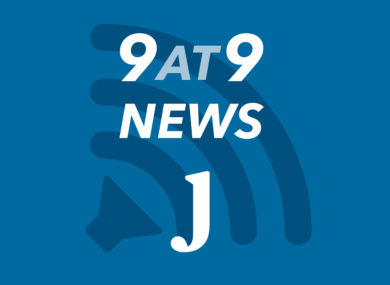 DO YOU EVER read our 9 at 9 news roundup, and think about how handy it would be to get your morning bulletin while making breakfast? Or brushing your teeth? Or in the car? TheJournal.ie aims to deliver news in the most useful way possible. When we published our first 9 at 9 back in 2010, it was Ireland’s first news roundup designed to be read on a smartphone. Eight years on, it is the go-to place for thousands of Irish people every day to get a concise and accurate summary of the biggest news stories of the day. Now, as more of us around Ireland consume media using voice recognition technology and virtual assistants, we have released a dedicated 9 at 9 News audio bulletin. It’s the nine things you need to know as you start your day, read to you on demand each weekday. TheJournal.ie’s 9 at 9 News, supported by our technology partner Volkswagen, is available via audio on any device that supports Google Assistant or Apple’s Siri. If you’ve got a compatible Android or iOS device, you can sign up. Here’s how. *If you can’t see 9at9 News, check that the language at the top of the ‘Add news sources’ list is set to English: Ireland. Search for ‘9at9 News‘ and hit Subscribe. Email “Listen up! You can now hear TheJournal.ie's 9 at 9 News every weekday morning”. Feedback on “Listen up! You can now hear TheJournal.ie's 9 at 9 News every weekday morning”.